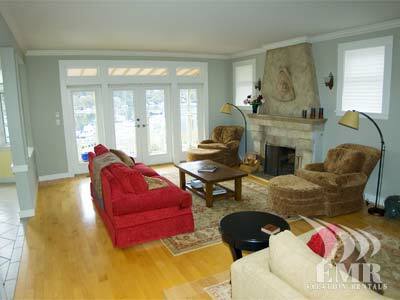 Brentwood Bay Estate is a beautiful three-level, four bedroom ocean front home located in the Victoria BC bedroom community of Brentwood Bay. As you enter the home on the mail level, your eyes are greeted by large windows provide breathtaking ocean views from the great room, the kitchen and dining area. 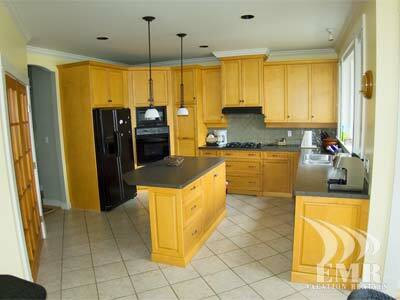 The large gourmet kitchen provides everything you need to fix a snack or test your skills as a chef. 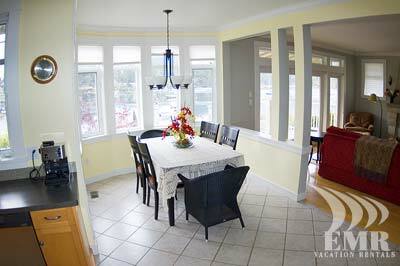 Serve up to 10 guests in the dining room while drinking in the ocean views through the bay windows. 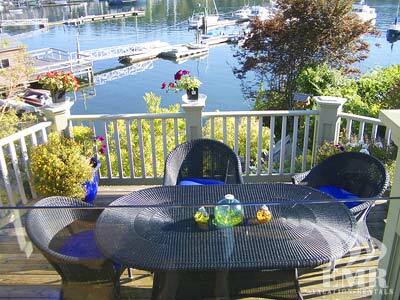 Taste the best life on the west coast has to offer by making use of the bar-b-que to cook your freshly caught salmon on the natural gas grill on the outdoor kitchen deck. 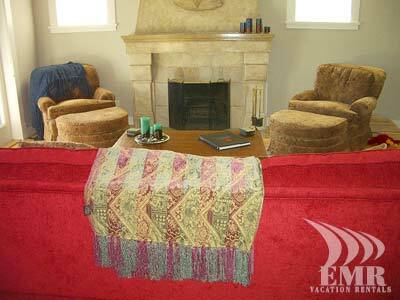 You will easily relax, perhaps with a good book, next to the fireplace in the great room. 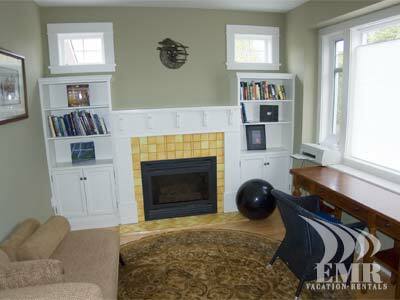 If home theatre is of interest to you, gather your group on the large sectional couch around an entertainment center complete with a 43-inch plasma television and stereo. Find that good book to read, keep up with the goings on at work or simply check your email while being warmed by the fireplace in the office and library. 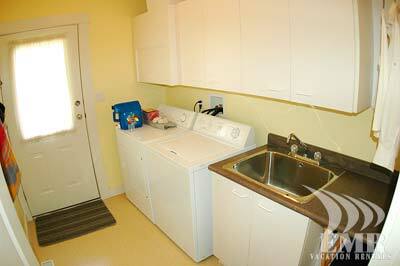 You can make use of the wireless internet from virtually every room in the house. 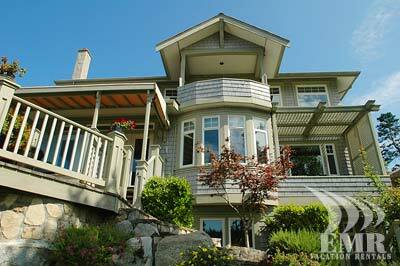 To fully enjoy the beauty of the outdoor surroundings, this home has three decks off the main level. 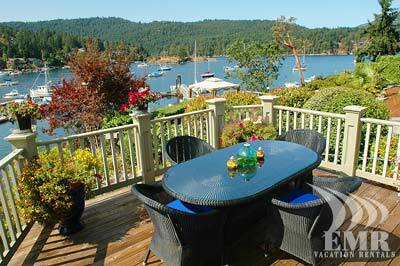 All decks are on the ocean side of the house and look out at charming Brentwood Bay. A deck off the great room is covered and has roll-up canvas shades for controlling sunlight, creating a comfortable outdoor seating area in all weather. The second deck is off the kitchen and features the bar-b-que. The third deck is open with a dining table that can accommodate 8, perfect for entertaining outside on a beautiful evening while watching the sun set over the ocean. The top level of Brentwood Bay Estate is a master suite complete with a large steam shower and soaker tub, all with splendid ocean views. 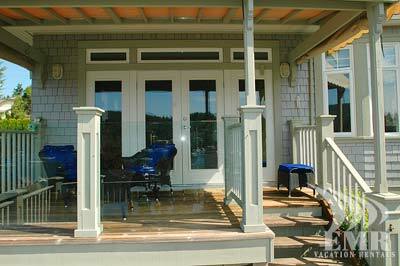 After a good nights sleep on the king size bed, take your coffee on the adjoining deck in a comfy outdoor seating. 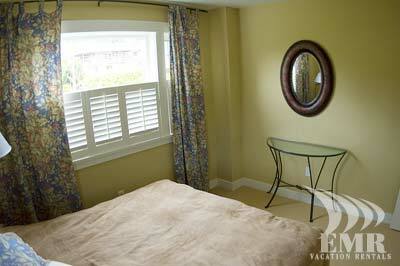 This suite also includes a 27 inch flat screen television. 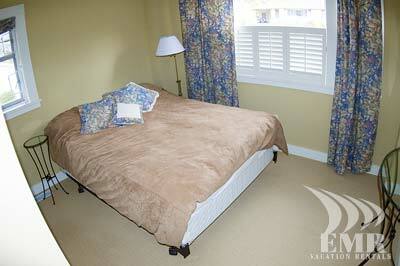 There are two additional bedrooms on the upper level with queen size beds and one has ocean views. 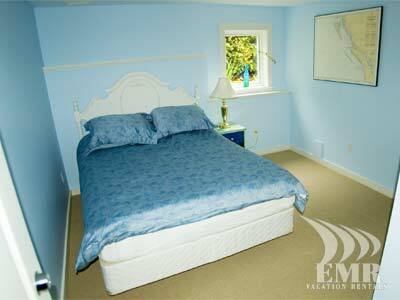 This home also features a self-contained furnished apartment downstairs that can be accessed from both inside and outside the home. 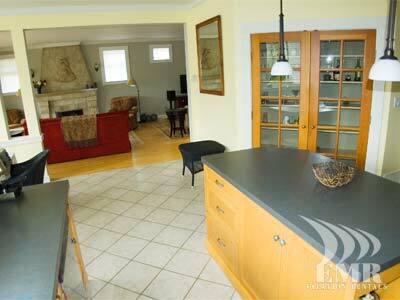 Walk out at ground level through the French doors that lead right to the waterfront. 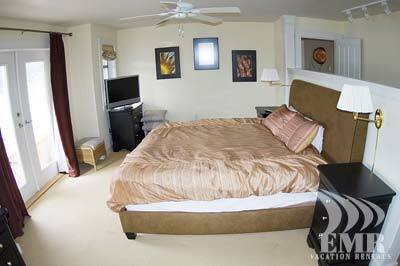 The downstairs area has a separate bedroom with queen-sized bed. 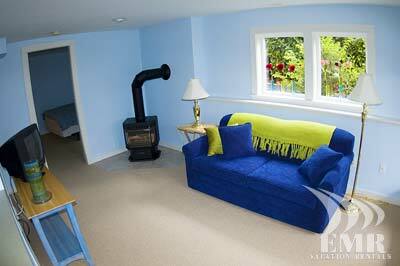 The living area has a fold out couch and a 26 satellite TV. 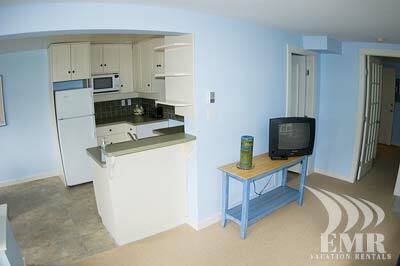 This area can be used for an extended family situation or for two families traveling together. 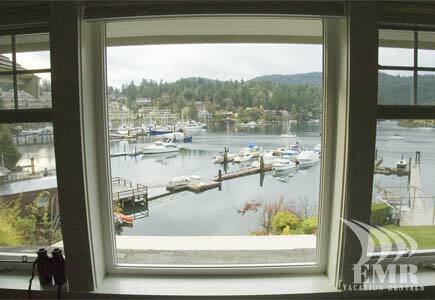 Brentwood Bay Estate is walking distance to several restaurants and notably the Brentwood Bay Lodge, a five star boutique luxury hotel complete with spa, marina, pub, fine dining and recreational activities. From the estate you can take a 10 minute leisurely walk, or enjoy a 10 minute paddle on the ocean, to world famous Butchard Gardens. 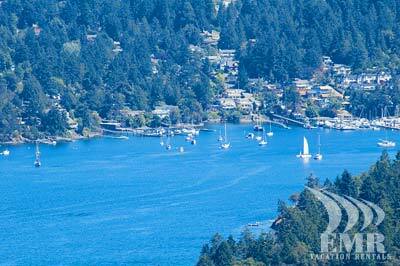 You can spend the day in the splendor of Victoria, British Columbias capital city. Cascading with flowers from early spring to late fall, downtown Victoria is 25 minutes away with historic sites, street entertainment and beautiful parks. The downtown area offers shops, boutiques and restaurants for every taste and budget. 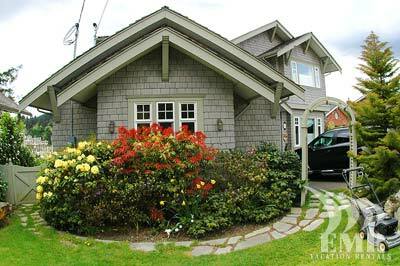 Victoria International Airport and the BC Ferries Swartz Bay Terminal are also within a 20-minute drive, all in all a perfect location. 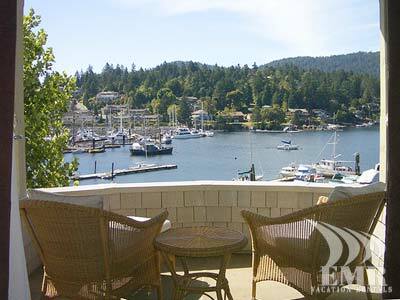 Make Brentwood Bay Estate your choice for your home away from home in Victoria BC, you will not be disappointed.